I just love to go camping. Nothing better than to go and get away from it all. Although I'm more of a 'hike/paddle' kind of camping person, my wife is more of a stay and relax camper. Which is fine too. A nice lake, a comfy camping chair and just all the time to sit and stare and contemplate. If you're like us there are a few things you HAVE to have while camping. One of them for us is a radio. Yes, I know, I said I liked peaceful contemplative quiet... but at the same time, if you're out for a week, it's nice to know if the weather's about to change, and sometimes the light background sounds of talk radio or light jazz is very conducive to relaxation time. 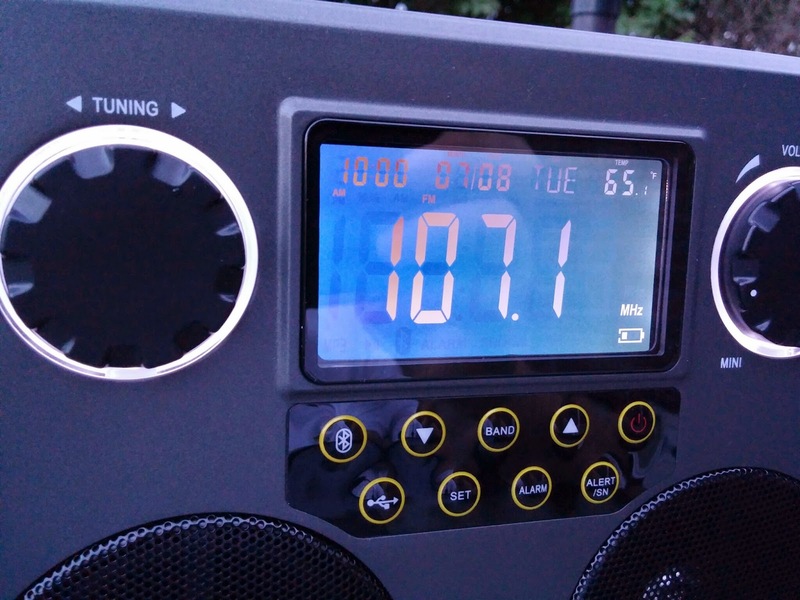 Next time we get to go camping we have a new radio to bring with us. The Champ Survival Skybox. 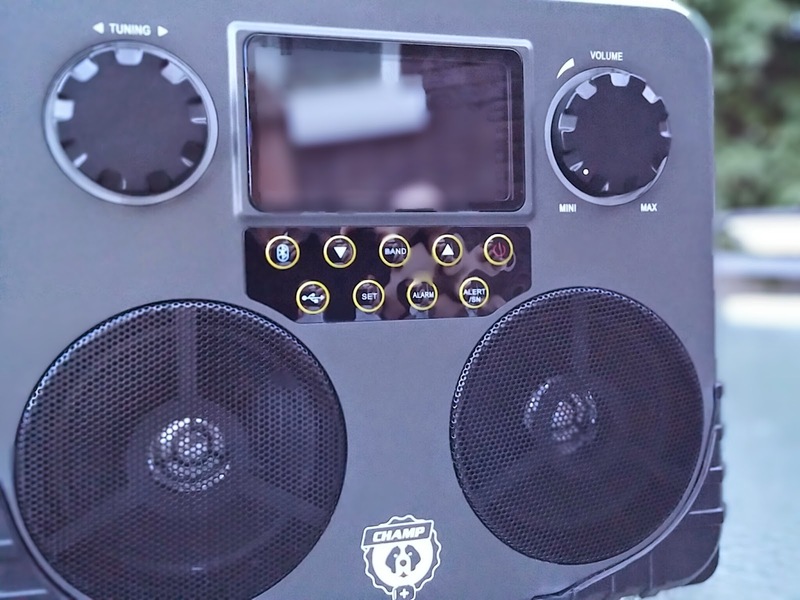 It's a 12-in-1 radio. 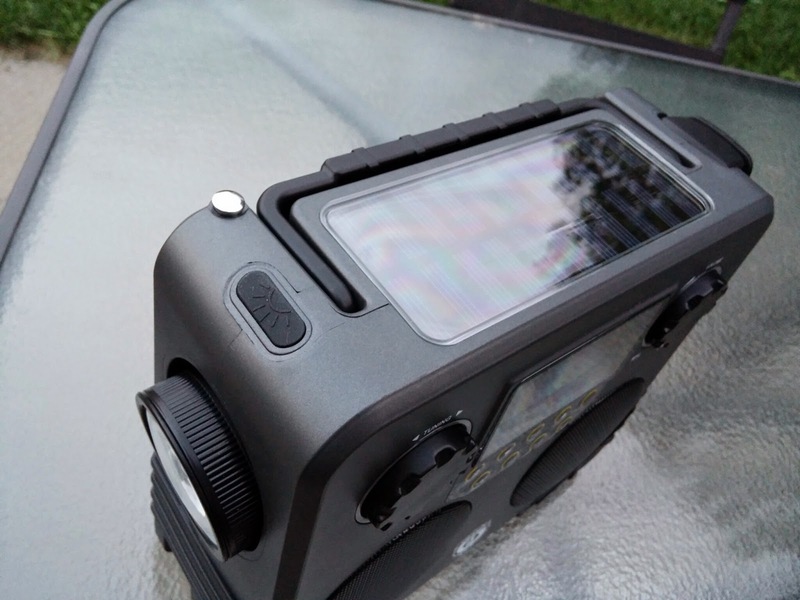 It has a couple cool features I like for camping - solar (although not a great one), a crank for power (I AM NOT bringing batteries with me) and a weather radio station. 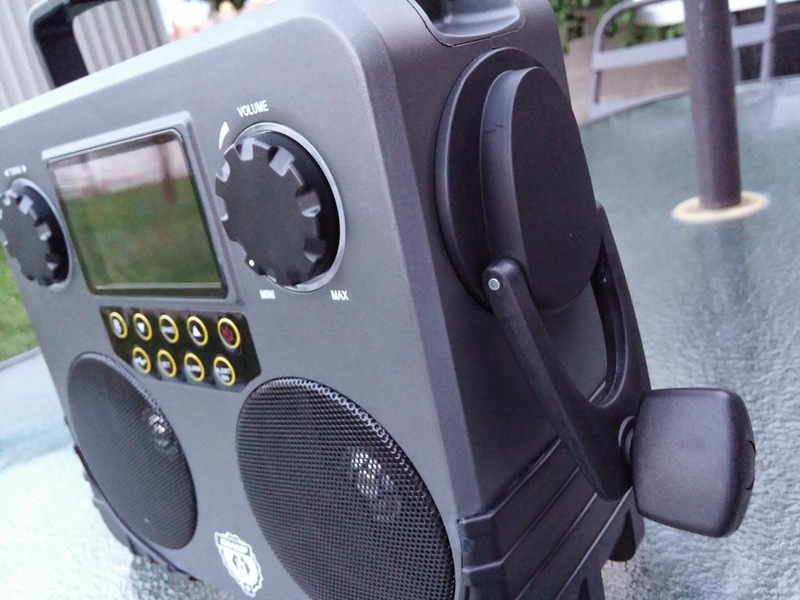 It also has bluetooth audio, USB audio in, 1/8" jack line in, will act as a battery charger, AM/FM radio, clock (with alarm), and a flashlight (with both regular and red blinking for emergencies). Now with the crank... you have to wonder how long the battery will last. 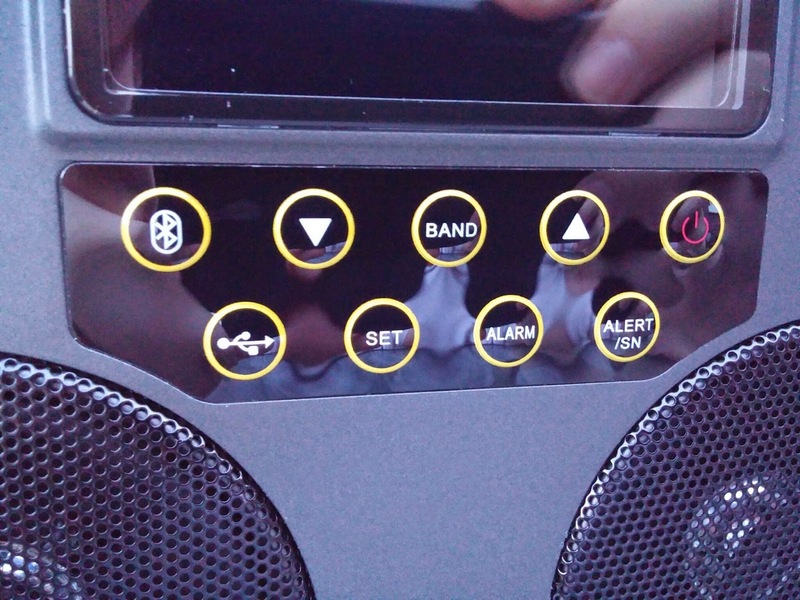 According the material it should last you 5hrs of bluetooth playback. Pretty decent. If it's just weather radio, it should be a lot more too. But what happens when the power runs out? The crank can get you up and running. Wind it for about 1 minute (they say at 120rpm) should give you 3 minutes of playback on BT. So... do the math here, and for a complete charge you'd have to turn that handle for over an hour and a half). Still... better than bringing in batteries and worrying about how to dispose of them. 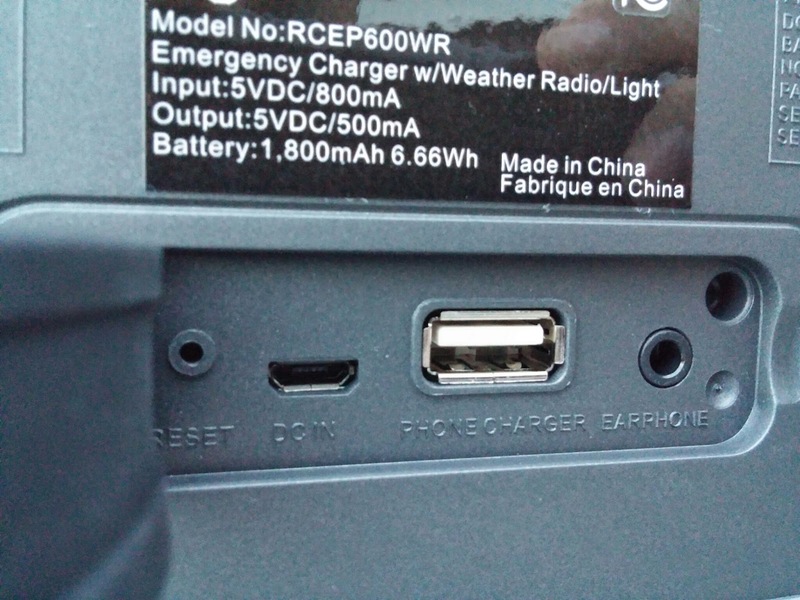 Besides, charging up the radio helps build its battery, which can then charge your phone. A full charge on its own should be more than enough for some camping trips, and the backups (solar / dynamo) just help in those circumstances where you go for more than a weekend. All the features work as they say they should. It's a very intuitive interface, and leaves little guesswork. Do keep in mind that the flashlight is bright... don't point it at someone's face (as I almost always did when testing it). Sound quality wasn't fantastic. It was good enough for while I'm out near a lake or firing up the camping stove in the morning. I really really want to go camping now - give this thing a real test. For the amount it can do, the $100 price tag is definitely worth it.